On Monday, the U.S. Department of the Treasury announced new sanctions designations on three senior North Korean officials, including the regime’s virtual number two official, Choe Ryong Hae, who is close to leader Kim Jong Un and director of the powerful Organization and Guidance Department. The two other North Korean officials that were designated in the new sanctions action include Jong Kyong Thaek, North Korea’s minister of state security, and Pak Kwang Ho, director of the Korean Workers’ Party’s Propaganda and Agitation Department. The sanctions on all three North Korea officials were justified by the U.S. Treasury Department in connection with the country’s poor human rights record. 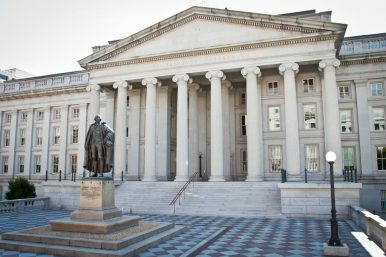 The Treasury Department, in its announcement of the sanctions, noted that the action was designed to coincide with the U.S. State Department’s release of a report on human rights abuses and censorship in North Korea. “Treasury is sanctioning senior North Korean officials who direct departments that perpetrate the regime’s brutal state-sponsored censorship activities, human rights violations and abuses, and other abuses in order to suppress and control the population,” U.S. Treasury Secretary Steven Mnuchin said in a statement. “These sanctions demonstrate the United States’ ongoing support for freedom of expression, and opposition to endemic censorship and human rights abuses,” he added. Monday’s announcement came two days before what would have been Otto Warmbier’s 24th birthday. Warmbier, a U.S. citizen, was imprisoned in North Korea and later returned to the United States in a comatose condition; Warmbier died shortly after his return and has been held up by the Trump administration as a reminder of the North Korean regime’s cruelty. The sanctions action comes as the United States and North Korea continue to work toward a second possible summit meeting between Kim Jong Un and U.S. President Donald J. Trump in the first half of 2019. The two leaders met in a historic encounter on June 12 in Singapore, marking the first-ever meeting between a sitting U.S. president and a North Korean leader. Amid the stepped up diplomacy between the two sides this year, which has included four visits by Mike Pompeo, now Trump’s secretary of state and formerly director of the Central Intelligence Agency, human rights have not been an area of emphasis.